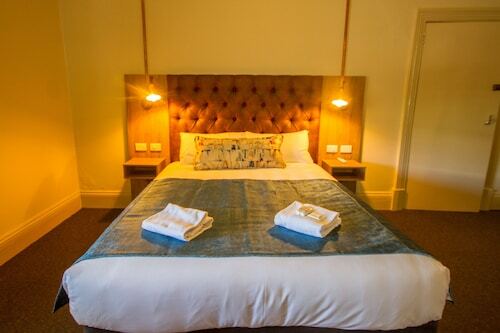 Considering a few nights away in Murray Bridge? There are only 5 accommodations options within 5 kilometres of the centre of town. The Balcony On Sixth Lodge and Oval Motel are a few of several terrific accommodation options that are near the main city areas. Grab your mates and tee off at Murray Bridge Golf Course. Bridgeport Hotel and Adelaide Road Motor Lodge are a couple of hotel options that are close to this attraction. This destination contains just a small selection of no-frills accommodations for travellers on a shoestring. The Murray Bridge Caravan Park is one of the better options. For more options, checkout the Riverview Rise Retreats and the Mannum Motel. They are 25 kilometres and 25 kilometres respectively from the center. If those two aren't what you're looking for, try the Eleven From The Left or the Lyrabendi Farmstay. Situated 40 kilometres to the west of Murray Bridge is Strathalbyn, which boasts a variety of hotels and apartments. Hotel options here are the Strath Motel and Victoria Hotel - Strathalbyn. If watching sport gives you a buzz, get along to Adelaide Oval. It's located to the west of Murray Bridge. To kick your heels up close by, secure a room at the Adelaide Heritage Cottages & Apartments or the Buxton Manor. Adelaide International Airport is situated 70 kilometres from downtown Murray Bridge. Should you wish to stay nearby, you can easily secure a room at the Seawall Apartments or the Stamford Grand Adelaide. How Much is a Hotel Room in Murray Bridge? 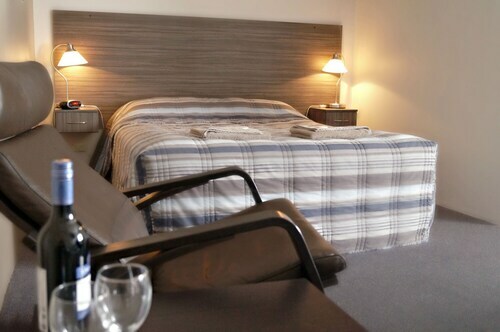 Hotels in Murray Bridge start at AU$77 per night. Prices and availability subject to change. Additional terms may apply. Love the racing theme,the venue caters for a variety of guests. Conferences , stopovers and a passion to be around unique cars on a real racing track. Great place to stay, friendly staff and in a good location.